The city of Edgewater has a population of about 21,000 residents and it's found in Volusia County. It's also a part of the Deltona-Daytona Beach-Ormond Beach Metro area, which has a population of nearly 600,000 residents. Since Edgewater is very close to the coast and some very popular beaches, it sees plenty of visitors every year. The mixture of visitors, part time residents and full time residents brings quite a variety of driving styles making the roads a bit more dangerous. Many of the visitors are not familiar with the area roads, either. Interstate 95 runs directly through Edgewater. I-95 is the deadliest highway found in the United States when it comes to the Florida portion. About 186,000 drivers use I-95 in Florida every day. Just about 5 out of 6 of the accidents include an injury and more than 125 people die in traffic accidents in the county every year. Traffic crashes in both Edgewater and Volusia County are on the rise. If law enforcement officials didn't enforce the traffic rules, these stats would be far worse. Nearly 38,000 traffic tickets were given out in Volusia County in 2015. Those tickets included over 13,000 speeding tickets, 4,400 tickets for careless driving and many others. These were the two largest offenses, however. Judges in Volusia County only dismissed 13% of the tickets issues in 2015. If you want to keep your driving privileges in Edgewater, Florida, you need to obey the traffic laws. However, if you do slip up, you may be able to keep the points from piling up on your license too much. It only takes a few points to end up with a suspension. Drivers receiving 12 points in one year will end up with a 30-day suspension. If you receive 18 points in just 18 months, you will be issued a 90-day suspension. Those receiving 24 points in 36 months are considered habitual offenders and will receive a one-year suspension. With two or more tickets, you could quickly be at the 12 point mark and face a license suspension. If your license is suspended, you will have to pay reinstatement fees. You will also face up to $500 in fines and 90 days in jail if you get caught driving with a suspended license in the state of Florida. After receiving a traffic ticket, you can easily keep the points off your driver's license. 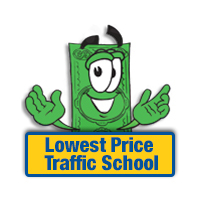 As long as you are eligible, you can take the basic driver improvement course offered online from traffic schools in Edgewater. This class will allow you to keep your insurance rates from going up, along with keeping the points off your license. All you have to do is plead guilty or no contest to the ticket and pay it. At the time of paying the ticket, let the clerk of the court know you plan to enroll in online traffic school. Then, enroll and complete the course from your home, at your own pace. Once completed, you will receive a certificate of completion, which you will need to turn into the clerk of the court. 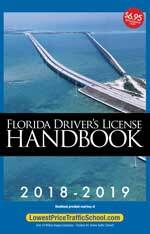 The State of Florida allows drivers up to five chances to take the basic driver improvement course. You can keep points off your license five times by enrolling in traffic school online, but you can only use this option once every 12 months. As long as you haven't taken the course in the past 12 months or five times in total, you should be eligible to take online traffic school. Check with the clerk of the court to be sure. All tickets issued in Edgewater, Florida, regardless of the branch of law enforcement are handled by the Volusia County Clerk of the Court. The Clerk of the Court will take the payment and provide any information you may need. Find out more about the Clerk of the Court for Volusia County by going to the website.